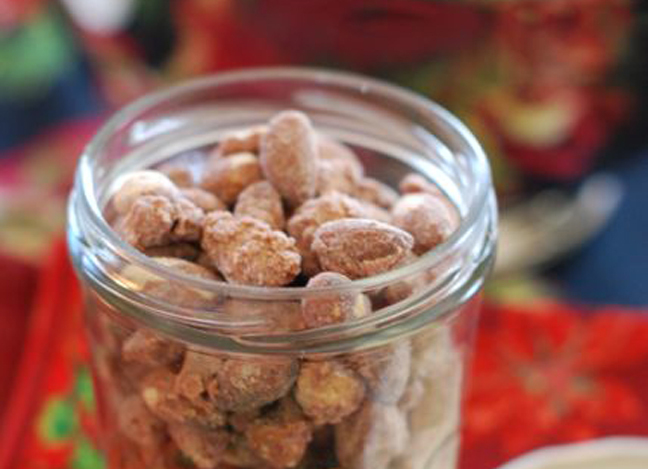 It is homemade gift season, and I’ve got a great one for you. 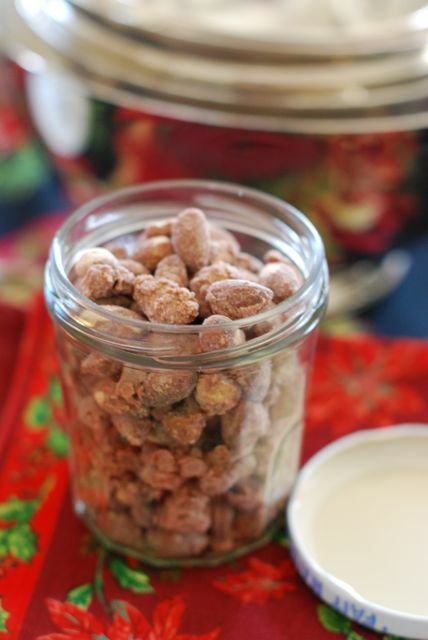 These sweet, warmly spiced cinnamon almonds are perfect for all of your friends, and they are a snap to make. In fact, I usually double or triple the recipe and make a few big batches in one afternoon. Then I wrap them up in jars or clear bags and give them out over the course of the month. Everyone I know loves them, and they are perfect for serving up in small dishes when people come over for cocktails or a quick hello. Step 1: Preheat the oven to 250 degrees F. Line a baking sheet with paper and set aside. Step 2: In a large bowl whisk the egg white and water. Beat well until it holds soft peaks. Fold in the sugar, salt, cinnamon, and vanilla until fully incorporated. Then fold in the nuts until they are completely coated. Step 3: Spread the nuts evenly in one layer on the lined baking sheet. Bake for one hour, stirring the almonds every 15 minutes so they toast evenly. Remove and allow to cool completely before packaging and gifting. Store in airtight containers to maintain freshness.